888sport is part of the 888 Holdings plc, a company listed on the London Stock Exchange and based in Gibraltar. The sportsbook was founded in 2008. The online betting provider offers a wide selection of sports, although European ones dominate the portfolio. Our 888sport review will cover various aspects of the bookmaker such as the betting markets and odds, the quality of the customer service and the reliability of the bookmaker among others. In addition, the 888sport welcome offer will be explained in detail. Get best odds guaranteed on UK and Irish horse racing now! With the Cash Out feature you can secure your winnings or cut losses before the outcome is decided. A subsidiary of 888 Holdings plc, 888sport is a sportsbook whose headquarters are located in Gibraltar. As such, the bookmaker is regulated by the Gambling Authorities of that country. In addition, UK customers can also rest assured when betting at 888sport, since our 888sport review found out that it is licensed by the UK Gambling Commission as well. 888 Holdings was established in 1997 by two sets of brothers: Aaron and Avi Shaked & Ron and Shay Ben-Yitzhak. These men started the Virtual Holdings Ltd. After acquiring some casino and poker brands, the company went public in 2005. One year later they decided to bring all the different subsidiaries under one common name: 888. The sports gambling arm of the company, 888sport, was then established in 2008. Two years later, the bookmaker was already involved in sports sponsorship. The current 888sport Welcome Offer consists of free bets matching your first deposit. In total, you can get 30 GBP. When you register at 888sport as a new customer, you must make the first deposit of 10 GBP. Please note that deposits made via Skrill and Neteller do not count towards the new customer offer. Afterwards, this amount must be placed on a bet. Once you have done so, 888sport will give you two (2) bets of 10 GBP each to use on the sportsbook, as well as a 10 GBP free bet for the mobile platform. So in total, the 888sport free bets amount to 30 GBP. To get the 888sport free bets, a qualifying bet of at least 10 GBP must be placed at odds of 1/2 (1.5) or greater within 90 days of registration. Upon bet settlement, the free bets will be credited to your betting account. This can take up to 72 hours. There was no 888sport activation code for this promotion at the time of our 888sport review. In order to receive the full amount of £30 in Free Bet, you must fulfil all of the requirements of this 888sport offer. Our 888sport review has drawn up a brief tutorial that is easy to follow. Here is what you have to do. Step 1 – Registration: Open an 888sport account by clicking on the green “Join now” button at the top right of the screen. Enter your personal details in the registration form and choose a username and password. No need to enter any promo code for this particular promotion. Step 2 – Making a deposit: Select a payment method and first make a deposit of at least £10. Remember that Skrill and Neteller are not eligible for the 888sport free bets. Step 3 – Fulfil the free bet conditions: Place a bet of £10 at odds of 1/2 (1.5) or higher on any sport. You have 90 days to claim the free bets after registration. Step 4 – Use the free bet: Whether you win or lose, your £30 in free bets (2 x £10 free bets, 1 x £10 free bet mobile) will be credited to your account upon settlement. This can take up to 72 hours. During our 888sport review, we were happy to see that there is a variety of offers for newcomers as well as existing customers at this bookmaker. One of them is the “ACCA Attack” offer. Every time you place and win an ACCA of five legs or more, 888sport gives you a Profit Boost Token of 10%. For every additional leg, the greater the profit boost percentage will be with a maximum boost of 50%. The “Weekend Booster” is another interesting offer that 888sport has for you. You can get a 25% winnings boost token for in-play bets on weekend football. For this, you must place at least five £10 live football bets between Friday and Sunday. Even though 888sport is considered to be relatively new to the online betting business when compared to more well-established bookmakers, a lot of punters are still attracted by this sportsbook. The main reason is that they advertise a lot and offer a large selection of markets. The 888sport portfolio ranges from football to horse racing to motor sport and rugby. What is more, they also offer a number of less popular markets such as chess, as well as bets on political decisions and TV shows, like the Oscars. The in-play feature of the 888sport website allows punters to place bets in the course of a match. As such, odds are constantly updated. According to our 888sport review, the range of markets here is impressive. You can have up to 50 live markets for a tennis match and up to 100 for a football match. A variety of sports is covered by the in-play feature, such as basketball, handball, ice hockey and volleyball. However, the live streaming option is not as extensive. Even though you can watch a number of horse races, tennis and football matches, the selection is not as wide as the normal sports betting portfolio. You can tell whether events are available in live-streaming since these are denoted by a TV symbol. What punters really appreciate at 888sport is the good betting margin for customers. For football, for example, the bookmaker’s betting margin is often below 4%. This definitely makes the odds worth more at this sportsbook. However, when compared to leading bookmakers, this might not seem sufficient. Our 888sport review concludes that any punter is in good hands at 888sport. Since the bookmaker is backed by the 888 brand, it has a remarkable reputation in the online gaming business. Your funds are safe there and payouts are carried out in a timely manner. The variety of betting markets makes 888sport a good place to bet at since you will always find something to bet on. More live-streaming options would be appreciated but, all in all, 888sport offers plenty of features to its customers. The 888sport offer for new customers is quite advantageous since punters can actually triple their original betting amount. On the negative side, the customer service is not available 24/7 and there is no live chat option. This should be improved in order to provide a better service all-around. Overall though, 888sport is a bookmaker that we can recommend. With regards to payment methods, our 888sport review found that you are really spoilt for choice at 888sport. Various deposit methods can be used to fund your betting account, such as credit and debit cards, prepaid card (Paysafecard), e-wallets (PayPal, Skrill, Neteller) and even bank transfer. The majority of deposits are done within minutes (up to 10 days for bank transfers). There are no fees at 888sport for these transactions. The minimum deposits range from 10 to 20 GBP. Step 1 – Go to the banking section of your account: Log in, click on the “Cashier” button at the top of your screen and select the “Deposit” option. Step 2 – Select the desired payment method: Choose the deposit method you prefer. Fill in the necessary details such as currency and amount. Step 3 – Transact: Click on “Submit”. In the case of some e-wallets, you will be redirected to their sites to complete the transaction. Your funds should be deposited immediately. 888sport is committed to verifying the identity of members before making a withdrawal to prevent online fraud. To make a withdrawal, simply click on the “Cashier” button and go to the “Withdraw” option. Minimum withdrawals range from 3 to 25 GBP. Depending on the option, your funds are credited in a few days. This can take up to a week in the case of a bank transfer. All withdrawal methods are free of charge at 888sport. 888sport provides a help feature on their website which offers a range of questions and answers regarding various aspects. Our 888sport review noticed that the majority of answers is provided with a “Contact Us” tab, in case you were not satisfied with the information provided. By doing so, an e-mail contact form opens up and you can send a message to the support team. 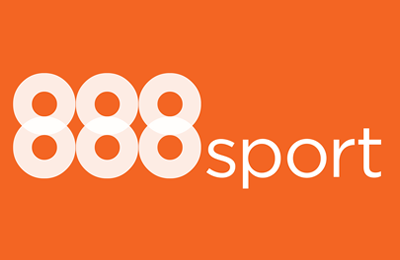 You can also write an e-mail directly to support@888sport.com. From 9 am to 10 pm (GMT), the customer service employees can be reached by phone by dialling 0-800-096-4780. The support team offers services in English, French, Portuguese, Polish, Finnish, Spanish, Russian and Norwegian. Unfortunately, 888sport does not offer a live chat function at the moment. This is a disadvantage since most bookmakers offer this feature nowadays. You can follow 888sport on Twitter (@888sport) as well as on Facebook. The sportsbook uses social media to promote current offers and giveaways. The latest sports news are also published using this platform. It seems though, that the updates are more frequent on Twitter, as was our experience during the 888sport review. Reliable or scam: How safe is 888sport? According to our 888sport review, the sportsbook is a safe place to bet at. On top of being regulated in Gibraltar where the company is located, it is also licensed by the UK Gambling Commission. The UK license covers punters in England, Ireland, Scotland and Wales. The advantage of a UK license is that by law the bookmaker has to provide a fair and transparent system, help customers having gambling problems and make sure all members are of legal age. In addition, 888sport must comply with the applicable Data Protection and Privacy Laws. How can I register at 888sport? Registration at 888sport is quite simple. Just click on “Join now” in the top right corner of the homepage and fill in the registration form with your personal details. Please note though that residents of certain countries cannot join 888sport, such as US residents. According to our 888sport review, this is due to the current legal situation in the USA. Who founded 888sport? Back in 1997, two sets of Israeli brother, Aaron & Avi Shaked and Ron & Shay Ben-Yitzhak, founded a company called Virtual Holding Ltd. After acquiring diverse casino and poker brands, the different divisions were united under the name 888 in 2006. The company decided to launch a sportsbook called 888sport in 2008. Is there an 888sport App? Yes, there is. 888sport offers a mobile platform as well as an app. Therefore, you can bet wherever you are, at any time of day or night. The full sportsbook is available on all platforms. The app can be downloaded on iOS and Android devices by visiting the app store. Is 888sport committed to responsible gambling? Yes, it is. 888sport complies with all the guidelines of eCOGRA, which ensures that gaming offers are transparently monitored. The following company policies have been implemented: Protection of minors, prevention of compulsive gambling, self-limits, gambling reminders as well as self-exclusion. How can I place a bet at 888sport? Once you have logged in, just select the sport you wish to bet on. A range of available bets will appear. Click on the odds to add selections to your betting slip. The possible payout will be calculated. Then click on “place bet” and a betting receipt will appear. Keep the receipt number as a reference. All of your bets are listed in your “Betting history”.